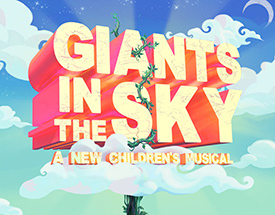 Giants in the Sky, A New Musical is coming to THELMA this Summer! THELMA’s arts day camp – On Stage @ THELMA will feature the theatrical adventure , “Giants in the Sky.” This magical story explores the world of Giants who live above the clouds. Ever since they left Earth a long time ago, the Giants have made a life up above where their job is to keep the sky beautiful. They polish the stars, poke the clouds to let it rain and paint the sunsets. But there is one curious Giant who wonders what life is like on Earth, so she steals a key to the locked up “beanstalk” and embarks on an adventure down below! Fourth through eighth grade students will learn the lines, the music, the dances, and build the sets in this two week adventure. Then on the final day, students perform it twice!